As TRS19 starts to get into the hands of content creators, the need to understand the new material types available in TRS19 is important. The new materials are much more realistic than previous materials. 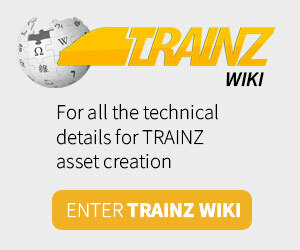 The Trainz wiki lists all you need to know about the new Physically-Based Rendered (PBR) materials. m.pbrmetal – if you don’t need to render transparency or glass (yes we have a glass only material) then you’ll want to use this material. m.pbrmetaldetail – if you need to add some really nice up close high resolution detail to a model you might want to think about using this material. Can also be used to hit tiling artefacts on a much larger scale too. m.glass – does this really need explaining? m.clutter – gives similar results to m.pbrmetalmasked but adds support for cross-faded LOD transitions and does not include support for parallax mapping. This is intended for use with Clutter Effect Layers. 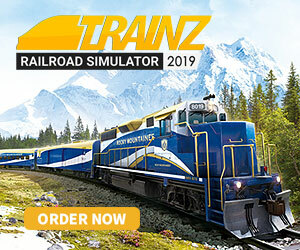 Each of the above PBR material wiki links should have information on 3DS Max, Blender and Maya support for setting up the materials for Trainz (or at least m.pbrmetal does and the rest are very similar).